reposted: loose falls tute with pics fixed! Yay I was so chuffed that someone linked my tute in here, but alas the link onto the old board for the thread appears deceased! so here we go again, with fixed links - hope its of help to someone! this bit was a bit awkward as each colour had its own texture and they all straightened differently. The orchid was quite delicate and went stretchy easily whereas the violet you could be quite harsh on and it came out uber sleek and shiny. The next step was to start attaching hair! I used sections of fabric covered elastic (think the top of your knickers and you're there!) 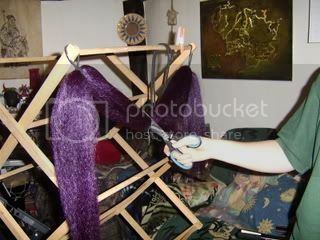 and took pencil-width sections of hair to braid onto it, braiding for about an inch then tying off with a mini elastic. About half a bag of the kk bulk wise was used for each layer of this fall. 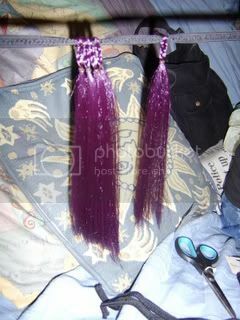 On the first section of elastic I used only orchid braids. 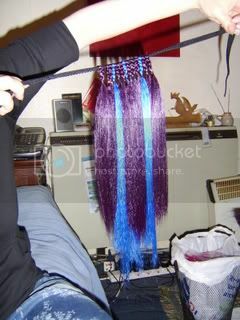 The second layer was constructed from electric blue and violet braids. Finally all ends of elastic were braided together as one to hold all the layers in place and give a nice sturdy section of material to tie round Ruth buns! This is the final fall - I repeated all of above to make the second side so she had matching bunches! The only thing left to do was a little thinning of the hair so it looked more razored less blunt, and adding a bit of products to give a few manga-esque points to it! Hope I've explained this all ok - it's been clear as day in my head from the first time I thought about it but now I realise just how hard it is to voice ideas!" Re: reposted: loose falls tute with pics fixed! Yaaaay! i LOVE this tute, makes loose falls look so much less scary, glad to see it back up! okay maybe this is a stupid question I've never made loose falls before, but why braid? and how many layers on each fall? thanks for the TUT very nice. 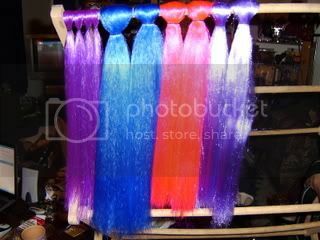 pixychick wrote: okay maybe this is a stupid question I've never made loose falls before, but why braid? Braiding stops it from coming off the elastic. do you have to braid or can you just put an elastic on it? sorry if its a silly question. 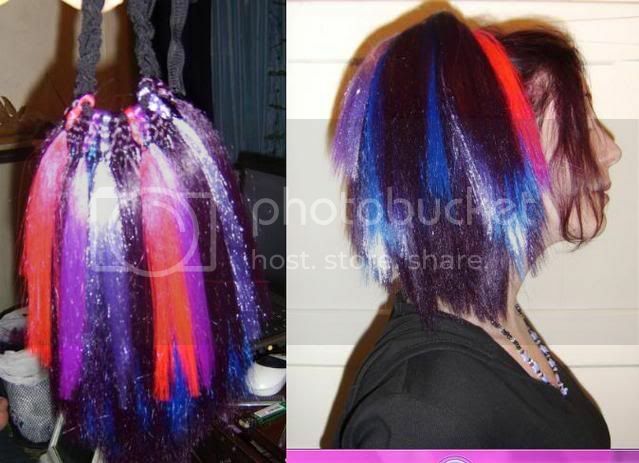 i'll probably look back at this and say 'doh"
If you just put an elastic on it, the hair will slip and fall out. Braiding anchors it a lot better and prevents slippage. 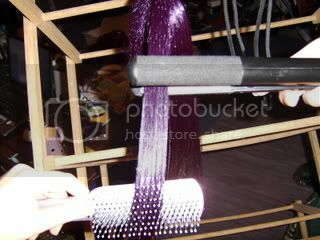 CirqueMachine wrote: If you just put an elastic on it, the hair will slip and fall out. 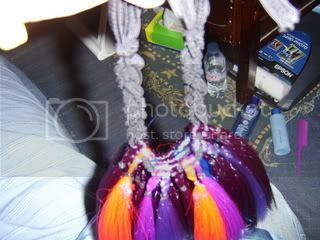 Braiding anchors it a lot better and prevents slippage. sweet thanks. I only have the loose falls that have that ball ontop never seen loose falls like these before...dang I sound like such a newbie.